Pradyuman, a Class II student, was found with his throat slit in the school washroom in Gurgaon on September 8. NEW DELHI: The Supreme Court today dismissed a plea challenging the anticipatory bail granted to three trustees of the Ryan International Group in connection with the killing of a student in the school premises. A bench of Justices R K Agrawal and A M Sapre said the "petition is dismissed." 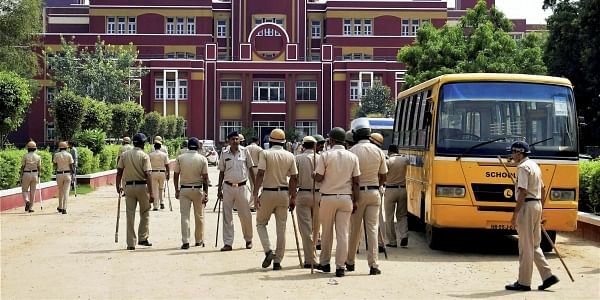 The court had earlier reserved the order on the plea of the father of 7-year-old boy, who was found dead in Ryan International School in Gurgaon, challenging the anticipatory bail granted to the trustees of the group. Pradyuman, a Class II student, was found with his throat slit in the school washroom in Gurgaon on September 8. School bus conductor Ashok Kumar was earlier arrested by Haryana Police in connection with the crime. He was recently granted bail by a lower court. The case was transferred to the CBI and the agency had apprehended a Class 11 student in connection with the killing. The high court had on November 21 granted anticipatory bail to Ryan International Group CEO Ryan Pinto and his parents -- founding chairman Augustine Pinto and managing director Grace Pinto, in connection with the killing of Pradyuman. The boy's father had approached the apex court seeking cancellation of the bail to the trustees.